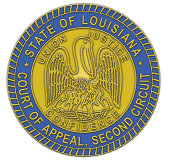 The Louisiana Second Circuit Court of Appeal seeks a staff attorney for Central Staff. Applicants must be a graduate of an accredited law school and possess legal skills to adequately analyze legal issues and communicate recommendations for the resolution of those issues to the Judges of the Court under the supervision of the Central Staff Director. Entry level salary from $47,533 to $48,246 depending on education, experience and qualifications. If not already admitted to the Louisiana Bar, applicant must take the bar exam when offered and be admitted within one year of beginning employment. All résumés may be e-mailed to employment@la2nd.org or submitted by mail to the address below. Résumés must be received by close of business April 18, 2019. Any applications received after this date will not be considered. The Second Circuit Court of Appeal is an equal opportunity employer.